Take in one of the many magical Christmas theater shows or Christmas concerts in Columbus to get in the holiday spirit. Whether its a date, or a family outing, you’ll make memories that will last through the years. Start a new annual tradition with one of the regular events, or enjoy a new performance each year! Columbus is host to many great Christmas theater performances and concerts this season, so there are plenty to choose from at all price points! 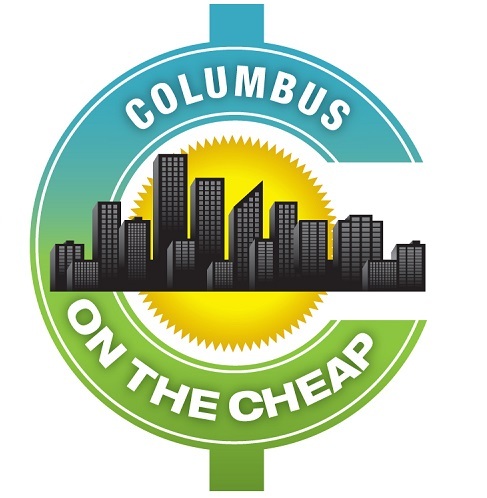 If you know of other great performances, please email info@columbusonthecheap.com to be included! Dates: Holiday Hoopla: November 15- December 29: (Slightly) raunchy Christmas Fun and Rock and Roll. Tickets are $25 and up. Holiday Lunchbox: December 4 – December 21 at 1 p.m. on select weekdays. A 45 minute holiday show featuring music and sketch comedy from the Shadowbox holiday archives featuring holiday fun and antics with The Snow Bunnies! Tickets start at $5. This celebrated Charles Jones adaptation of Charles Dickens’ A Christmas Carol from Nebraska Theatre Caravan is rich with thrilling ensemble music, alive with color and movement and is created to tell this great and enduring tale in a manner that people of all ages will enjoy. Presented by The Central Ohio Youth Ballet. Enter into the Land of Sweets and come see Central Ohio Youth Ballet’s The Nutcracker, Thanksgiving weekend. The magic is ever expanding: now with new costumes, backdrops, and choreography! Come dream with us! Featuring vocalist Niki Haris, daughter of soul-jazz piano great, Gene Harris, performing seasonal favorites and jazz standards for the CJO’s Home for the Holidays concerts. Co-production with CATCO and CATCO is Kids. The crew of a Great Lakes schooner risks everything to bring the Christmas spirit to German immigrants in Chicago homesick for their motherland during the late 19th century. Families and kids of all ages will be touched by this heartwarming musical that reveals the real meaning of Christmas. Capital University Conservatory of Music will present its annual Christmas Festival, featuring the Chapel Choir, Choral Union, Women’s Chorus, The Chordsmen, Philomel and a variety of instrumentalists. A great annual Columbus tradition continues as Ronald J. Jenkins leads the Columbus Symphony and Chorus in some of the season’s most-loved holiday songs and carols. Santa will also stop by to help spread the holiday cheer! Presented by Curtain Players. Adapted to the stage by Romulus Linney, from the Charles Dickens novel. An adaptation of the story of Ebenezer Scrooge’s journey from an embittered, ungenerous creature into a giving, caring human being at the hands of three spirits, who, one Christmas Eve, show him what life means. Dates: December 1, 2018 at 2 p.m. and 7 p.m. Treat your entire family to an evening of your favorite Holiday Classics. Join the NGSO along with choirs from Newark and Granville High School for this annual NGSO tradition. Presented by the New Albany Children’s Ballet Theatre. Experience the delightful orchestral sounds, colorful costuming and graceful dancing of over 220 youth and professional dancers with the NACBT’s production of The Nutcracker. Join the orchestra, community members, and the Ohio State University’s Director of Choral Studies Robert Ward for a beloved holiday tradition! Raise your voice in song with friends, families, and church choirs, and sing selections from Handel’s Messiah. Witness magic in the making at The Nutcracker, a beloved holiday tradition that has stood the test of time. A holiday mash-up for the entire family, The Hip Hop Nutcracker is a contemporary re-imagining of Tchaikovsky’s timeless music performed by a supercharged cast of a dozen all-star dancers, an on-stage DJ, and an electric violinist. The program will include a variety of holiday standard and classic pieces: “Sleigh Ride,” “The Most Wonderful Time of the Year,” “March of the Toys,” “Charlie Brown Christmas,” and many more. Christmas is coming and so is the one and only Moscow Ballet’s Great Russian Nutcracker. Presenting world class Russian artists, hand-painted sets, Russian Snow Maidens, and jubilant Nesting Dolls-Great Russian Nutcracker brings the Christmas spirit to life for all ages. The classic animated television special comes to life in this faithful stage adaptation featuring all your favorite characters and classic Vince Guaraldi score. Join Charlie Brown, Snoopy, Lucy, Linus, and the rest of the Peanuts gang as they mount a play, save a tree, and uncover the true meaning of Christmas. Celebrate the holidays at home in New Albany, featuring local guest artists from Opera Columbus and the heartwarming songs and traditions that make this the “Most Wonderful Time of the Year.” Don’t forget to arrive early for our fabulous Holiday Gift Basket Fundraiser. Tickets: Participants welcome to register to play for $10. Free for audience, but they are collecting canned goods for the Mid-Ohio Foodbank. His 22nd annual holiday tour, A Joyful Christmas, delivers the sounds and spirit of the season with carols, classics, and original songs, bringing yuletide memories to life and keeping days merry and bright. Innovators of the neo-classical genre for over 40 years, blending the finest orchestral sections with electronic elements and a hint of rock to arrive at their remarkably unique sound. Not only are their live performances sonically robust, but they’re visually stimulating as well, featuring an incredible light show and illustrations that dance across giant projection screens. Looking for more Christmas fun? Here’s the day-by-day list of Christmas events in Columbus!